I have to admit, when another technology specialist first told me about this app, I dismissed it as being too complicated to use and not as easy and streamlined as other apps. Boy was I wrong! Plickers is a simple tool that lets teachers assess their students and gives them real-time feedback. The cool thing about this app is that the teacher is the only one that needs to have a device. Students are given Plicker cards that the kids described as looking like the Minecraft game. They think it’s a game. You have to love that! Plickers makes registration and set-up of your class really easy to do. In no time at all, I had registered my e-mail, set up a class, and added questions to my bank or library of questions. Last week, I used a group of second graders as my Plickers guinea pigs. I taught the students how to turn their Plicker cards so that they were showing me the correct answer and I began to scan. Using my iPad’s camera to scan the students’ answers was a little tricky at first but in no time I got the hang of it. So this week, I co-taught a lesson with a third grade teacher. We decided to use Plickers as a way to review for their social studies test. The teacher and students loved getting immediate feedback on whether or not the students got the question correct. Knowing immediately what questions the student’s got wrong allowed for further discussion of the content. 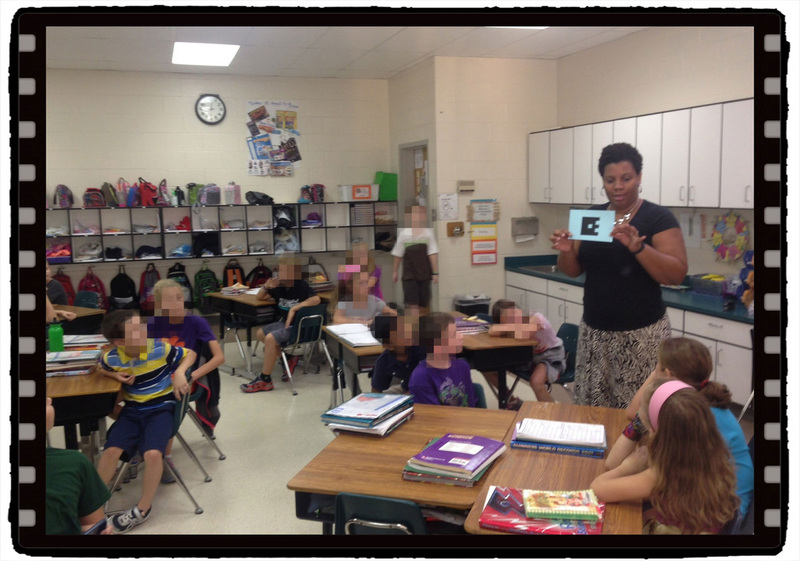 If you are looking for an easy way to do formative assessments, Plickers is the way to go. 1. Technology is not a gimmick. Kids like gimmicks! They love anything new, fresh, and exciting. But gimmicks don't insure deep learning and rigor. Fortunately, technology is more than flash and magic. It is a way for teachers to successfully modify and redefine a lesson so that students are more easily able to collaborate, problem solve, create, and communicate. 2. Technology doesn't always work perfectly. Sometimes it doesn't work at all. This week I got a chance to talk to pre-service teachers about the latest technology trends in education. I had planned this great lesson using Aurasma. I spoke about how wonderful it is to use this app to create a digital layer over real-life. I've been playing with this app and really couldn't wait to have students try it out. Well, it didn't work out as planned. As the students hovered over the pictures, the pictures did not trigger the aura. For me, I felt like it was a complete fail. But technology teaches me this lesson, over and over again: It is not infallible. ALWAYS HAVE A BACK-UP PLAN. 3. Technology is here to stay. Technology is ever-changing but we are in the 21st century and we can be assured that technology is here to stay. And since it is part of our life, we better start making good use of it. As educators, if we leverage technology, then we can create a classroom that is efficient, fun, engaging, and has real-world relevance. What do you see as the biggest benefit of using technology in the classroom? What is the biggest disadvantage? It has been a violent adjustment. This is how I am describing my first few weeks as a technology integration specialist. I may be a little dramatic by using the word violent. (Someone used violent this way and I like it! It's fitting.) However, the classroom has been my safe haven for the last eight years. As crazy as it may sound to some, I am comfortable when I have 23 seven years old, without a clue in the world, staring at me. I love the beginning of the year when everything and everyone is fresh and new. I love when a classroom community has been built and we run like a well-oiled machine. I love when I can pass "my kids" off to the next grade and feel proud of all that we have accomplished. Why would I want to give that up? How in the world did I become a technology integration specialist (I prefer coach)? Let me start by saying that I love technology. It is a seamless part of my life. I wake up to the beep of my first alarm on my iPhone and put my feet on the floor when my second alarm sounds on my iPad. Motivation comes from a podcast that plays in the background while I brush my teeth. I walk out of the door while I am double checking that I am wearing my Fitbit. I unlock the door to my car with its remote and I'm on my way. As I power up my Mac (my job and I love Apple products) , I take a few sips of coffee and think about how I couldn't possibly live without technology. Of course I know I can, but it sure does make my life a lot easier and fun. My love of technology made it natural for me to integrate technology into my classroom. It also made me jump at the chance to coach other teachers as they worked hard to do the same. So here I am. My first year as a technology coach and boy has it shifted me out of my comfort zone.